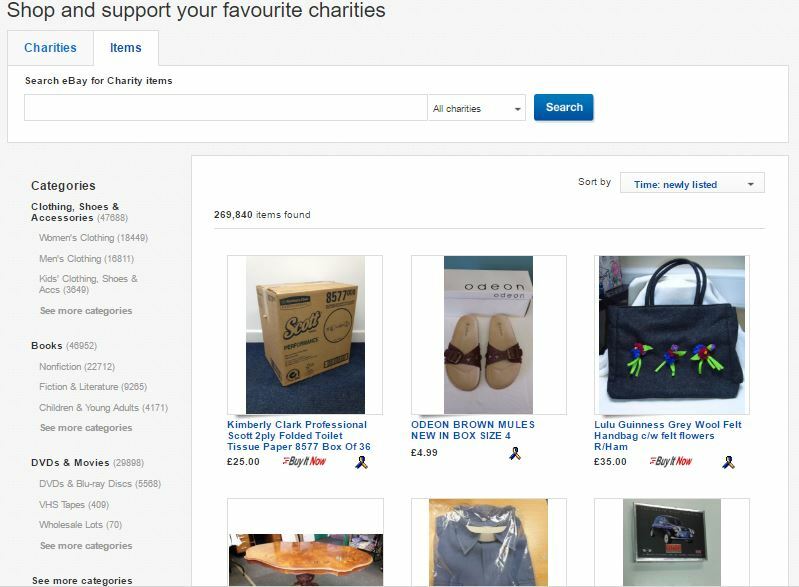 ” Ebay For Charity Adverts contribute towards site running costs, but currently may not fit with the site ethos. We will continue to work on a solution. Can I Give To Any Charity I Want On Ebay? You can help stop animal cruelty and suffering by using the ‘eBay for charity’ part of eBay. You can buy items that donate between 10% and 100% of their sale price to your chosen animal charity. You can also sell items yourself and choose how much of the sale price you wish to give to charity, between 10% and 100%. You can sell new or second-hand goods, or hnd craft items yourself to sell. If the animal charity you wish to buy or sell on ebay for is not registered with ebay for charity, contact them and ask them to register. That’s what I did with Soi Dog, the animal charity that saves dogs from the meat trade and strays in Thailand. You have to create an account with eBay and PayPal to buy or sell on eBay. When you initially list your item to sell, you can choose to donate from 10% up to 100% of the final sale price of your item to your chosen charity. Whatever percentage you choose to give to charity, eBay will waive that percentage of your fees. Give 100% to charity, and 100% of your fees are waived. 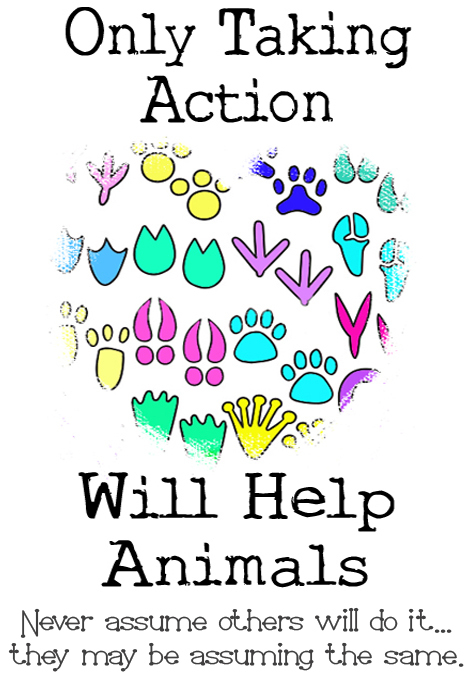 You can find a specific animal charity to support, or choose from the Environment and Protection of Animals category. 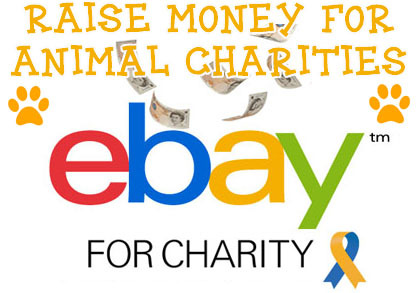 Your item that raises money for an animal charity will have the eBay for charity ribbon next to it when it appears in the search results. It does not specify in the search results what kind of charity it raises money for, or the percentage of the sale that is donated. The buyer can only see what percentage of your item’s final selling price that will go to charity when they look at the description of your item. They can also see which animal charity you have chosen the money to go to. Whether the buyer searches specifically for animal charity listings or not, the listing will be seen by them, along with all the non-charity listings. 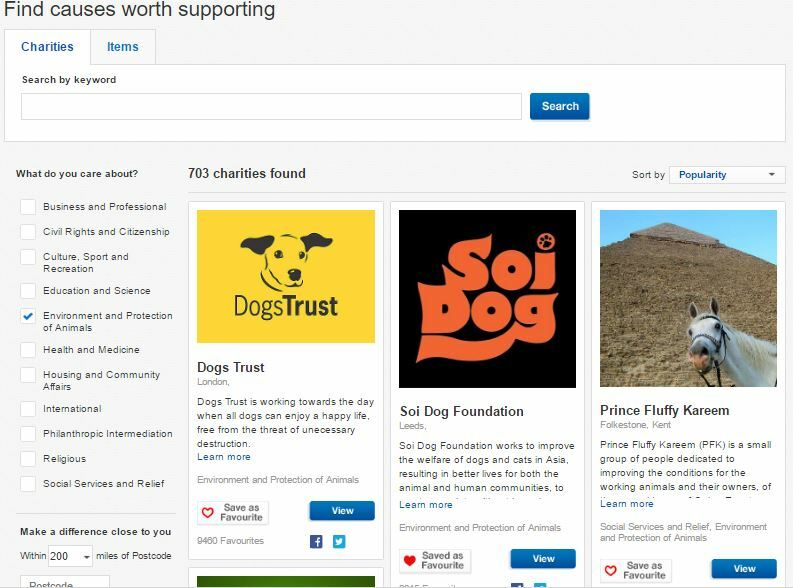 Buyers can search for animal charity listings only, or items raising money for a specific animal charity. The next section of this page explains how. Image: The eBay for charity symbol of a charity ribbon. This will appear next to listings of items that are guaranteed to give between 10 and 100% of the final selling amount to charity. On the eBay classic site, viewed on a PC or laptop, buyers can choose either a specific animal charity, or a category of charity, e.g, Environment and Protection of Animals, through the search bar on this ebay for charity page. There are two tabs, “Charities” and “Items”. If the Charities tab is clicked, you will see environmental and animal charities. If you click on the Items tab, items being sold that donate a percentage to those charities will appear. The items that appear should all have the eBay charity ribbon symbol next to them (if they do not, something has gone wrong and you are seeing items where no money goes to charity). Which specific animal charity they are donating to, and the percentage they will donate, can only be seen by clicking on the item and viewing the details. There is a “Sort By” box at the top of the results list where you can choose from options such as seeing items that are the cheapest first, or are finishing soonest first. First, you have to search for the item you want by typing it in the search box, then select “Filter”. If you select “Show More” at the bottom of the list, it will expand and show “eBay For Charity” further down. Select this option, and only items that donate between 10% and 100% of their selling price to charity will appear in your search results. They will have the words “Benefits Charity” next to them. Unfortunately, there are no further options to be able to select animal charities only. The only way you can see what charity the item is raising money for, and the percentage they donate, is by selecting the item and looking in its description. Some eBay sellers do not go through the proper ‘ebay for Charity’ process and simply write in the item’s description that they are giving a certain amount to charity from the sale of item. In lsitings like that, the buyer has to take the sellers word. 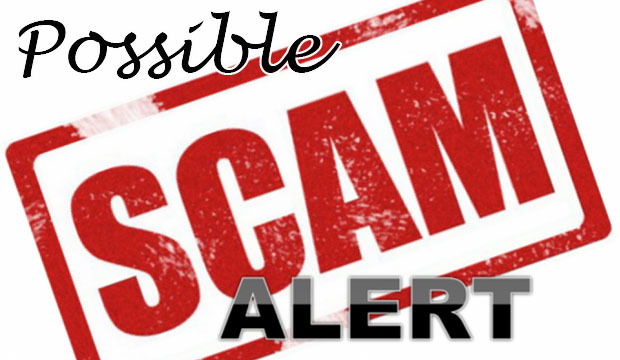 Without the seller using the proper channels, there is no way of verifying that the money will actually go where the seller states. Without using the proper method, the listing will have no official ribbon symbol, or “Benefits Charity” statement next to their listing. These guarantee that the amount stated goes to the charity. The reasons some people may not use the official channels may be innocent, such as them simply not knowing how to do it, or it may be because the charity they wish to donate to is not registered with eBay for Charity. However, unfortunately, there will always be unscrupulous people who say that the money is going to charity when it is not. They do this because people are often willing to be a bit more generous when they think money is going to a good cause. 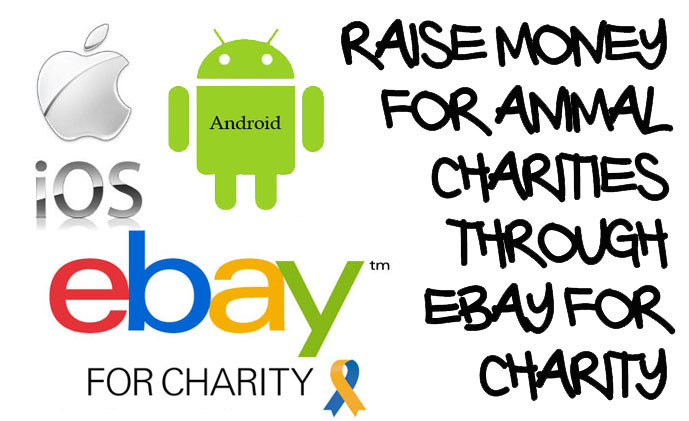 The charity you want to donate a percentage of your item’s sale price to has to be registered with eBay for Charity and PayPal. There are many animal charities registered, from large international charities to small, local organisations. If the particular organisation you want to donate to is not registered, you should ask them to register so that funds can be raised for them this way. You could also suggest this as a way of fundraising to any animal charities you know of.